I'm sure a lot of you have joined Swagbucks for free by now and are on your way to your rewards. But did you know there are lots of ways to earn points besides just searching on your swagbucks home page? Did you know that every Friday is MEGA Swag Bucks Day? SwagBucks has increased your chances of scoring BIG #Swagbucks on Fridays. 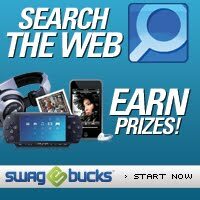 Swagbucks is a fabulous program that rewards you with AWESOME prizes just for doing your everyday searches online. Since I've joined Swagbucks I have earned tons of $5 Amazon gift card codes. Don't have a Swag Bucks account? Why not sign up today and earn 30 SwagBucks to get you started. Swagbucks just updated their policies and now allows each individual per household to have an account! Here are some tips to get more swagbucks everyday. -Make http://www.swagbucks.com/your homepage, or add it to your favorites. Doing this will help you remember to use the swagbucks search engine everyday. Did you know that you can win multiple swagbucks each day? I usually do searches throughout the day and try to use different computers. I have two words that I enter and ALWAYS win at least once on each computer with those words. So if you find a word that works for you, try it regularly. Keep in mind though, don't over search. The swagbucks search engine is designed to detect weird search patterns. If it feels you're searching too frequently you will be shown the rules screen. I've never seen the screen but have heard about it happening to others. 1. If you are using your personal computer, install the toolbar to make your searches easy to do. 2. Make it a point to do some Swagbucks searches on Fridays for sure. On Fridays, you can win as many as 100 Swag Bucks in one search. 3. Become a fan on Facebook and a follower on Twitter. Swagcodes are released daily through these sites. 4. Do the Daily Poll every day to earn 1 swagbuck. 5. Do the Special Offers (click RED square) every day but just select NO THANKS for each offer, click through a few until you are awarded 2 SBs. 6. Earn Swagbucks by using the Swagbucks Shop and Earn site. By using this portal site to shop you will earn 1 swagbuck for every $5.00 spent. 7. Trade-in your old cell phone and electronics and exchange them for swagbucks! 8. Set up a Google Reader page, and install the widget on your feed page, or install it on your blog. Lots of codes are posted on the widget. 9. Check the Swagbucks Blog for clues and codes, usually there are codes a couple times a week posted there. 10. Check this forum discussion for codes that are currently active that other users have posted. Give it a chance. It took me a while to develop routines of doing my searches through Swagbucks and figuring out how and where to find swagcodes. 11. Click on the tab TRUSTED SURVEYS everyday to earn 1 Swagbuck. You don't even have to do a survey, just click the tab. i'm still learning about these swagbucks thingies LOL>.thanks for this post it was so helpful! LOVE swagbucks!! 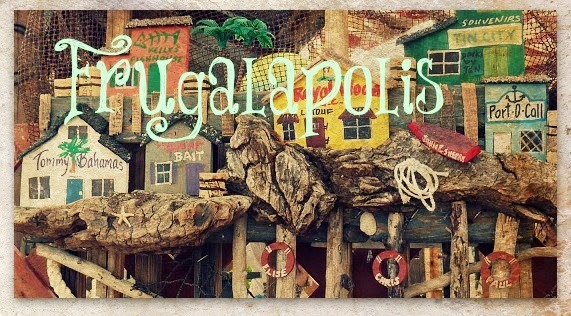 I'm your newest follower, I'm so glad to have found another Frugal blogger, can't wait to get to know you better!